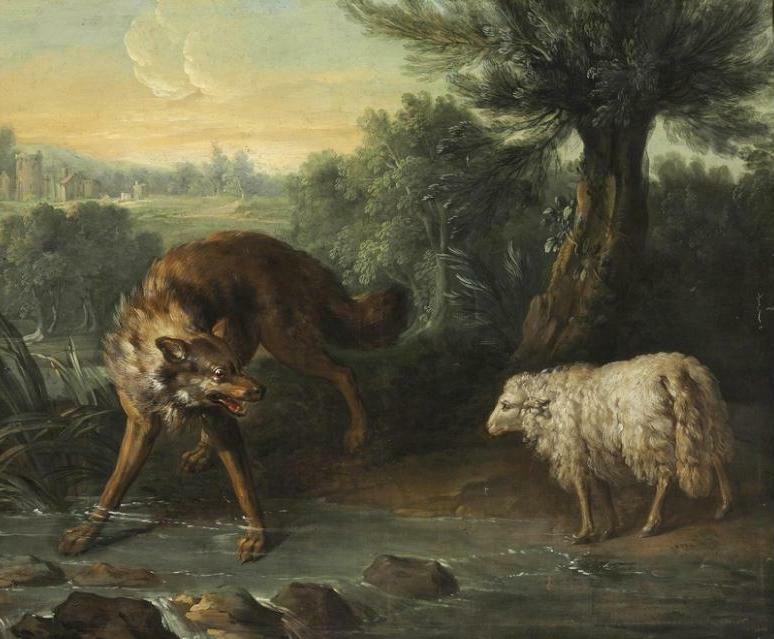 This entry was posted in Asides and tagged Aesop's Fables, Christopher Smart, Elizabeth Taylor Angel, Fables, Phaedrus, Robert Henryson, The Wolf and the Lamb by Simon Lavery. Bookmark the permalink. Interesting little tale, which resonates into days world where the truth often appears to be ignored. I like the line ‘ and trump up any false pretences’ has a certain contemporary ring to it. 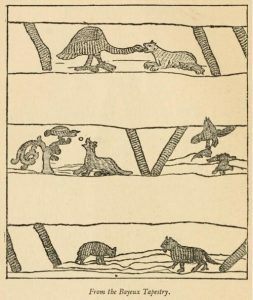 When I was a teacher-librarian, I used to teach Aesop’s Fables to my Prep classes, and admired their clever responses to fables like this one, but I never knew that some of them were derived from Buddhist sources. I wish I had… many of my students were Asian and they would have loved to know this. I’m sure there is a fable somewhere about not letting the powerful have moral leadership by default… that is what we in The Rest of The World have permitted for so long and now live to rue. Or was that Marcus Aurelius? Lisa: Thanks. Yes, there’s a Buddhist analogue to the Wolf & Lamb, featuring a panther & goat, but the moral is the same: the unjust will not listen to the reasoning of the innocent. There’s another about a hawk & partridge…How do the innocent deal with barefaced rapacity? Heh, too bad it’s so obvious who the wolf is in this story. Sad, bad days…..